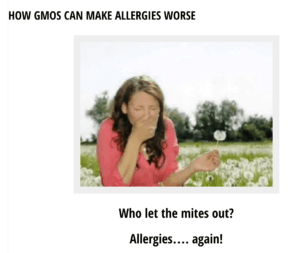 …there is a distinct possibility that a SEGMENT OF A DUST MITE ALLERGEN MIGHT HAVE BEEN SPLICED INTO ROUNDUP READY GMOFOODS!!! The “article” goes on to pass off as science a questionable analysis of the allergenic threats from GMO foods. These stories are usually accompanied by claims about organic foods being free of pesticides and genetic manipulation, supposedly making them a better alternative for those hoping to avoid allergies. Both have been proven to be myths. Why does it appear that allergies are increasing or being diagnosed more aggressively? There is evidence suggesting parental over-protection may contribute to the development of food allergies in children. The argument, presented by the hygiene hypothesis, is based on the tendency of higher income parents to engage in a behavior that might best be described an overuse of anti-bacterial gels and other products aimed at protecting kids from all manner of threats. 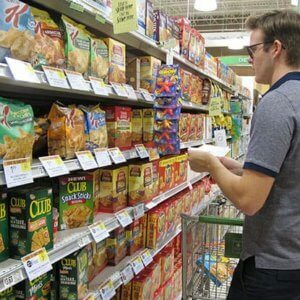 Many of these high-income parents also share a tendency to purchase organic and non-GMO food — or at least to shop in stores focused on those products. 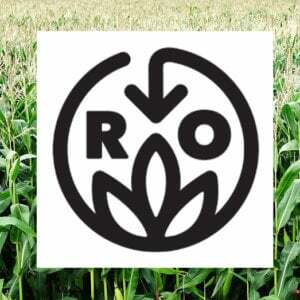 So it is, indeed, possible that there is relationship of sorts between food allergies and GMO foods. But if so, it’s the opposite of what critics claim. It’s not the GMOs, but rather one of the behaviors of those who seek to avoid GMOs. 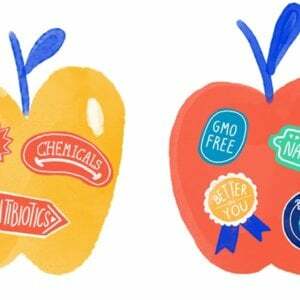 Misinformation on the web about the supposed GMO-allergy link comes not just from alarmists, who do little more than spread misinformation they’ve found through Google searches, but also from the organic industry and large corporations who have thrived on food fears. The girl’s reaction was traced not to any of the ingredients used to make the blueberry pie, but to the antibiotics that the fruit was exposed to as part of efforts utilizing pesticides to slow damage to the berries by bacteria…Most would also think of pesticides in terms of insecticides and herbicides only, and would be surprised to learn that in addition to these chemicals, antibiotics are used routinely to stop bacterial growth in fruit, such as blueberries. The author is right that pesticides consist of insecticides and herbicides, but antibiotics are in their own category. Plenty of consumers seek to avoid foods with subclinical levels of antibiotics, but that doesn’t mean they ought to be worried about trace amounts of herbicides, such as the much demonized glyphosate. 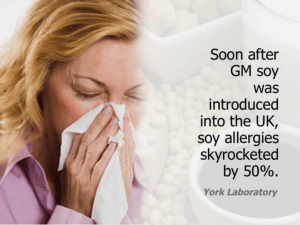 There is concern that GM foods pose an allergy risk. Currently the list of GM food products intersect with the eight most common food allergens: eggs, milk, fish, peanuts, shellfish, soy, tree nuts, and wheat. Most of the foreign proteins being gene-spliced into foods have never been eaten by humans before or tested for their safety. But GM crops actually go through vigorous testing for many years before they are approved for the human food supply. 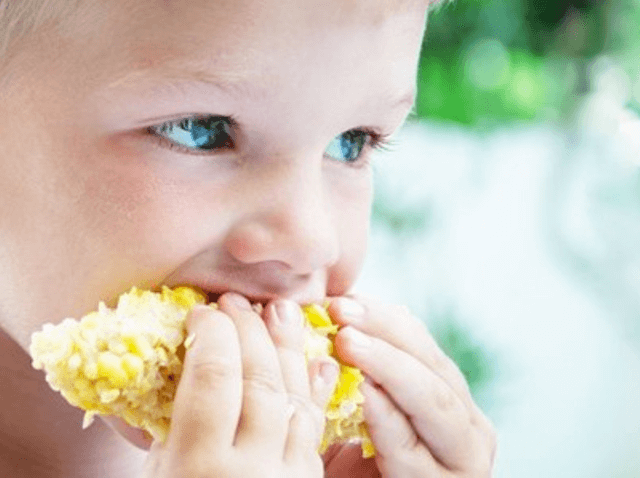 Regarding the apparent dramatic increase in food allergies in recent years, the science does not actually support a causative role for any factor that is particular to any high tech genetic modification process. Most food allergies (roughly 90 percent) involve a small number of foods, such as peanuts, tree nuts, eggs, shellfish, and soy. 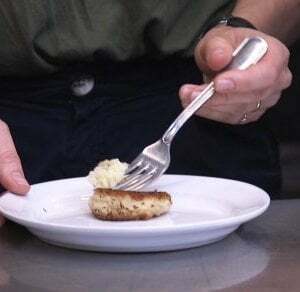 Of these, only soy is produced through techniques commonly considered to be “GMO”. 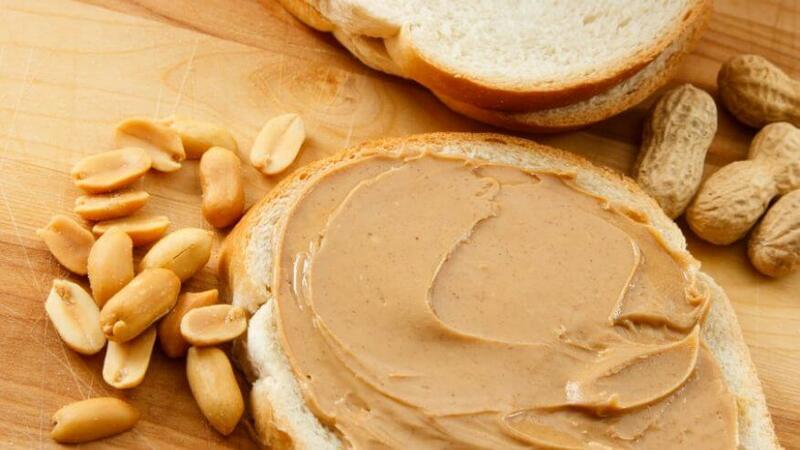 While the incidence of peanut allergy diagnoses has increased, the condition did not come out of nowhere. There always have been kids with peanut allergies. The reason is not GMOs and the answer to the problem will not come from restricting food producers from employing new technologies. On the contrary, biotechnology, particularly the use of CRISPR genome editing, may eventually lead to a marketable hypoallergenic peanut, even if initial optimism was hyped. Then there is the matter of what causes food allergies. Certainly, there are multiple etiologies and exacerbating factors, but it’s significant that peanut allergies are linked with socioeconomic status. This association has been recognized for about the past six years and adds weight to the hygiene hypothesis, which suggests that allergies and other immune system disorders result from a reduced exposure of very young children to infectious agents, such as parasites and symbiotic microorganisms. This can result from overzealous cleansing of the children and everything that comes into contact with them. Which parents have the time and wherewithal to act like this? Those with money. In other words, the same category of people who can afford to buy their groceries at upscale stores like Whole Foods. A version of this article originally appeared on the GLP on March 29, 2017.